A magnificent selection of works by masters such as James Abbott McNeill Whistler, Rosalba Carriera, Mary Cassatt, and Eugene Delacroix augment this guide, as do works by contemporary artists including Harvey Dinnerstein, Elizabeth Mowry, and Daniel Massad. Aimed at serious artists, this guide enlightens, instructs, and inspires readers to create brilliant and sensitive works in the historic medium of pastel. ELLEN EAGLE holds a BFA with Distinction in Drawing from the California College of Arts and Crafts. Her work is represented by Forum Gallery, New York, and has been shown in the National Academy Museum, the Butler Institute of American Art, the Frye Art Museum, the Albright-Knox Art Gallery, and in the Lingnan Museum of Fine Arts in China. Her paintings and writing have appeared in the New York Times, American Artist, The Artist’s Magazine, the Pastel Journal and numerous other publications. She is the recipient of several grants from the Elizabeth Greenshields Foundation and the Dodge Foundation. A sought-after teacher, Eagle is on the faculty of the Art Students League of New York and has given workshops throughout the United States and in Italy. Visit her at EllenEaglePortraits.com. 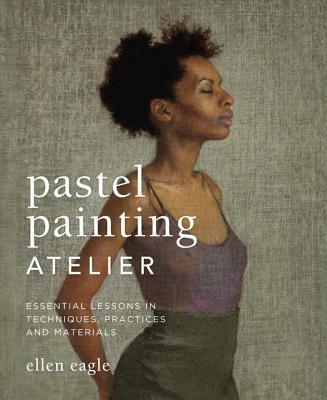 "Pastel Painting Atelier: Essential Lessons in Techniques, Practices, and Materials isn’t simply about pastel techniques, but how to truly capture a life and its full worth on paper. Read it like a novel, as Kingston’s foreword implies, and you’ll gradually pick up on Eagle’s ability to read a face and translate it to the surface." "Unlike most books about art, unlike most books written for creative people, this one provides several hours of quiet time with the artist at work in her studio, in her mind, with her eyes, with her hands. She sees beauty in the tiniest of details: the curve of the silhouette of a woman’s face, the arrangement of the old pipes beneath the even older sink in the corner of a Manhattan studio, the private thoughts that take shape in a best friend’s eyes. This is a gentle book, an inspirational one with the promise of some instruction for the visual artist, but you need not be an artist to see what she sees, and to enjoy the way that Ms. Eagle perceives and so lovingly sees the world." "I don’t think I’ve ever seen a book that deals with pastel in such breadth and depth."